Welcome to FrankWealth.com: Make Money Trading Binary Option - Why You Must Avoid This Online Biz! Make Money Trading Binary Option - Why You Must Avoid This Online Biz! Making money online is real, but not all internet money making methods work. Some are strategically designed to steal from naive and unsuspecting people who are too eager and desperate to make money online. Please before you go into any online business, remember, most genuine internet business will require only your skill to render service to people in exchange for money or you selling something to people in exchange for money. Avoid gambling and betting if you truly want to make money online and create a steady passive income source for yourself. Gambling and betting are no business, they are game of luck! They money you make comes from the money some people invested and lost. 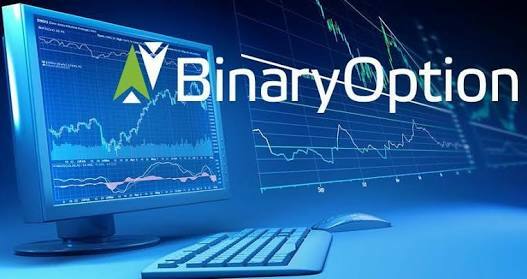 Now let's get back to the business of today; why you must avoid Binary option trading business. Binary Option Trading industry average of successful trades is %51-52 and the ROI (Return On Investment) is %70-80 (stay away from any broker who promises %90-95) as far as I could find out. However, the biggest risk from my POV is the brokers. There is this popular Binary Option broker called IQ Option, please avoid them if you can, in fact avoid all binary option trading business unless you are ready to waste money. I'm not blaming IQ Option exclusively even though I have read negative reviews about them and heard horror stories where brokers suspend your account after a series of successful trades, account managers draining your account without your consent, etc. How would you trust a broker who only gains when you loose? I'm sure they would do anything to make you lose. As you are on their mercy with your funds there is not much you can do. I made a killing ripping off the different brokers. I looked up who programmed the software of Banc de Binary, then who else uses this software. It's actually SpotOption. The reason is that I realized that they deliberately changed the market price of a certain asset in their favor each and every new 15-minute period. You could see the direction they would change the market price by looking at the previous 15 minute period, and where they changed the price the second you weren't allowed to place trades anymore on this particular time-frame. I always deposited $500 into each broker, doubling/tripling the amount before suddenly, any time I bet in the direction I KNEW they would change the price, I'd get the message "there are liquidity issues at the time, try again later". However, betting the other way was obviously possible. I'm out of brokers to steal candy from, and that's why I'm sharing this neat trick. I easily pulled over $20,000 from this little trick. Almost every broker spent over three weeks giving me my cash back, however, so if you have personal liquidity issues, don't even attempt it. Just find SpotOption brokers on those scammy review sites such as BinaryOptionsThatSuck, they'll put the platform used within their paid reviews. I'm unsure if they've fixed it yet, but if they haven't, feel free to do the same as I did. Free money, basically. Make sure to only trade in low volatility conditions (evening time is particularly great), and double up every time on something like a 20% of total account size, because they WILL shut you down early. Why am I sharing this with you? Because they scam innocent people, and they deserve to get a financial blow. You could always put more than $500 and scale!